On this site, you'll find details about the Society, about membership, and about our Journal and Annual Meetings and Shows. We hope you will share our delight in this genus of plants, that stretches from Central America and the Caribbean through all of Mexico and deep into the Western States of the USA. New discoveries are being made all the time, and this web site will feature them once described in the appropriate Journal. Please also visit the Mammillaria Forum to talk with other Mammillaria enthusiasts in the UK and around the world, but do please note that while this is supported by the Society it is not run by us. 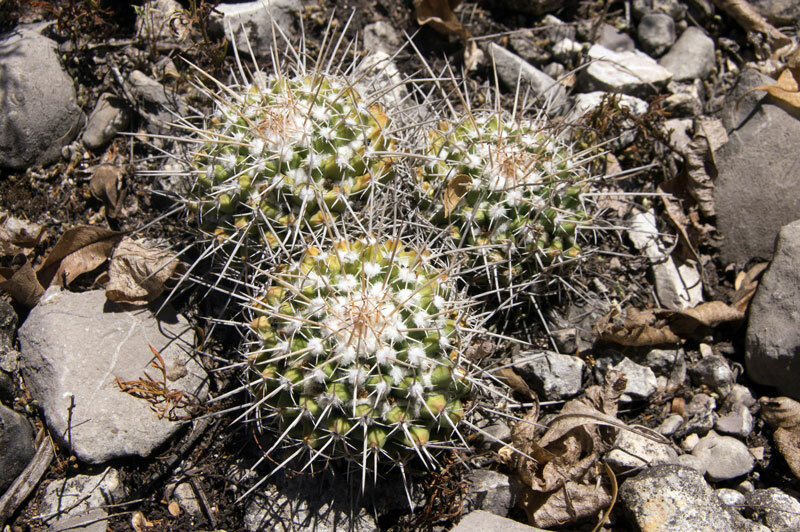 On this forum there is a magnificent section called Mammillaria A to Z, which lists most Mammillaria names, and is a photo record of these plants in various collections and for many there are photos of them in habitat. We encourage you to use this, which you can without a need to register here or there. You do not need to register to look at our free content. You can see our events for the year, and there is a lot of information in the Plants of the Month section. This is not being added to as it would duplicate a lot of what is already on the Mammillari Forum as detailed above. There are details of other useful websites etc. You should register if you are a Mammillaria Society member, and would like access to the Member's area. To do so click Register at the top of the webpage and you will be able to enter your details. This will be retained on our system, but you won't be able to log in immediately, so don't panic! Just send an email to Chris Davies (details in the Journal) or phone, and he will then complete the activation and give you access. This Members Only area contains digital versions of our Journals from 2011 onwards which may be downloaded, and in time more information about our activities and events. The provision of access will typically take up to a few days after contacting us. It is unfortunately necessary to do it this way rather than an automatoc registration, as we have been receiving a lot of false registrations recently and the workload to remove these is much more than registering bona fide Society Members. If you have any problems, please contact the webmaster for the site. 15/2/2019 - Annual Meeting on 5/5/2019 at RHS Wisley. Details now available. Download here or use the Annual Meeting link in the User Menu. 12/12/2018 - Members only section - Seedlist for 2018 now available to download. 10/11/2018 - Membership for 2019 can now be purchased. Please use the link in the top right hand menu box. Links - containing Cactus Explorer link to Dr David Hunt's Huitzilopochtlia, and the recently revitalised Mammillarias.net. Members of the Mammillaria Society are invited to join the website to receive members-only services. Click the Join button below and fill in your details.